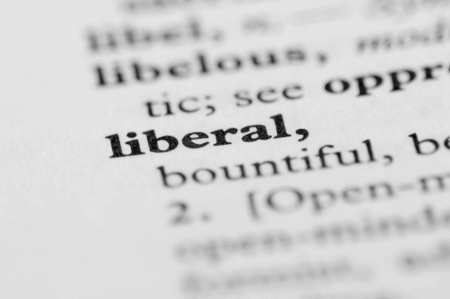 Liberalism started in the Age of Enlightenment and has produced a healthy number of diverse philosophical branches that seemingly contradict each other on a number of political and economic matters. Let’s find out if neoliberalism is something the founders of this school of thought would be proud of. Upholds the democratic process and the welfare state. Rejects the welfare state. Liberalism is a political ideology built on the foundations of liberty and equality. Classical liberalism believes in the importance of liberty, while social liberalism places more importance on equality. Liberals generally support freedom of speech, free markets, gender equality, international cooperation, democracy, freedom of religion, and civil rights, just to name a few. During the Age of Enlightenment, 17th century philosopher John Locke argued that each individual has a natural right to life, liberty, and property, which governments must not violate. This was the time when liberalism began to grow to become a political movement on its own as it was embraced by many philosophers and economists in the West. The liberals did not accept current socio-political norms of state religions, absolute monarchy, hereditary privilege, and the divine right of kings. According to the liberals, representative democracy and the rule of law should replace the absolute reign of monarchs. Neoliberalism is a revival of 19th century ideals connected to laissez-faire economic liberalism that started to grow in the 20th century. It holds that the private sector should be given more power in the economy through policies such as privatization, deregulation, and reduced government spending in the private sector. Experts believe that the financial crisis of 2008 was the result of the government adopting neoliberal policies in the 1970s. Today, neoliberalism is usually associated with deregulating capital markets, removing price controls, increasing free trade, and reducing government control on the economy by implementing austerity and privatization programs. Neoliberalism gained traction in the 1960s when Latin American intellectuals were impressed by Germany’s social market economy and began planning to adopt the same policies. Neoliberalism at that time was, in essence, a way to control social inequality and monopoly. In 1976, Argentina implemented neoliberalist policies including austerity plans and free trade. Their financial sector was deregulated which gained the country short-term growth. In the U.K., Margaret Thatcher adopted some neoliberal reforms such as deregulation, privatization, tax cuts, and reforming exchange rates. Neoliberalism grew in popularity in the U.S. during Ronald Reagan’s terms, implementing tax reductions, trade deficit expansion, and financial deregulation. The Clinton administration also implemented neoliberal policies by approving the North American Free Trade Agreement, which continued the deregulation of the financial sector. So what’s the difference between liberalism and neoliberalism? Liberalism is a political ideology started by John Locke in the 17th century during the Age of Enlightenment. Neoliberalism, on the other hand, is a revival of 19th century ideals based on economic liberalism that gained popularity in the 20th century. Liberalism believed in the fundamental importance of liberty and equality, while neoliberalism placed great emphasis on the liberalist concept of government involvement in economic policymaking. Liberalism also promotes ideals that uphold freedom of speech, civil rights, freedom of religion, free trade, and the democratic process. Neoliberalism rejects the welfare state, heavily promotes capitalism and defends the concentration of wealth and unequal distribution of property and natural resources.